Wireless charging was billed as the next big thing in mobile but thus far, it’s been little more than a flop. Of course, there are other industries that could benefit from the technology – like the automotive industry. That’s exactly what’s happening in one South Korean town as the first road-powered electric vehicles recently hit the streets. The city of Gumi is now home to a 15-mile stretch of road that has been outfitted with electrical cables just below the surface. These power lines are able to magnetically transfer power to the city’s fleet of Online Electric Vehicle (OLEV) buses. With the technology, the city can charge an electric bus regardless of whether it’s navigating a route or stopped in traffic. 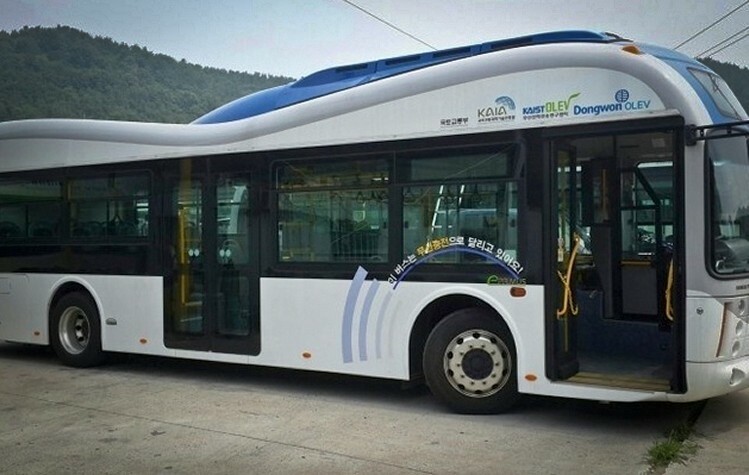 The KAIST Graduate School for Green Transportation is responsible for developing the technology behind the project. The goal was to create an electric vehicle fleet that didn’t have to rely on an array of batteries to store energy. The buses still uses batteries but there are far fewer than you’d expect as the roadway provides a constant source of power. We are told that installing the necessary power lines under the street only requires 15 percent of the road to be replaced meaning it isn’t a terribly invasive procedure. At present, the city has deployed just two OLEV buses in operation although there are plans to add 10 more vehicles to the fleet over the next two years. With any luck, other cities will take note and deploy their own OLEV transit fleet.